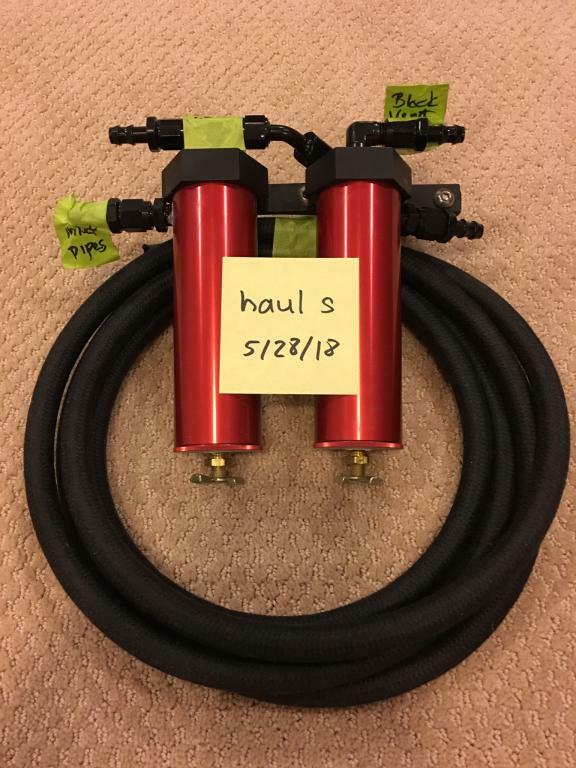 Selling a brand new GotBoost catch can (air oil separator) kit - red with black aeroquip hose. Asking $550 OBO, PayPaled and shipped to lower 48. Low ballers need not waste their time. Edited by haul s, 09 July 2018 - 09:13 PM. Still available, reasonable offers accepted. Interesting enough to post.....more BR Pro Catch Can information.